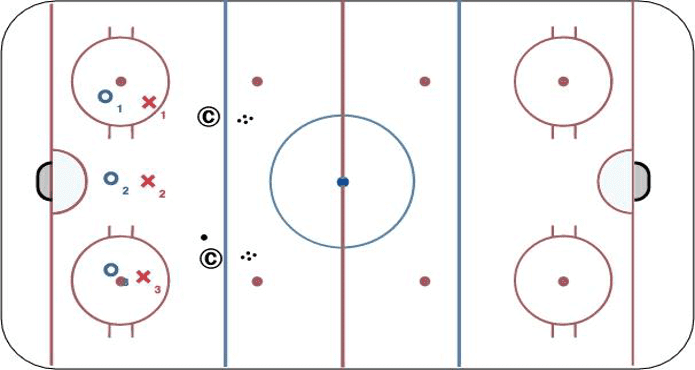 Notes: Coaches can be substitued with extra D to keep more skaters involved. To keep the drill competitive, you can have the group that scores stay in every time. This gives them incentive to try harder.